You can’t get back all of those keys, wallets, and iPods that have mysteriously “disappeared” over the years, but thanks to a new device launching later this year, you may never lose anything else again. This gizmo is simply called Tile. 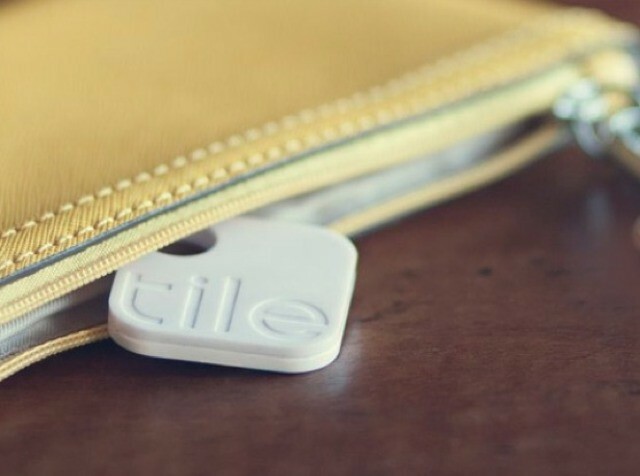 Crowdfunded through an incredibly successful Selfstarter campaign, Tile allows you to use Bluetooth-like sonar to ping and find any item that’s gone missing—as long as it’s in your immediate vicinity—or utilize other people’s accounts and devices to approximate the location of the item (a benefit over other similar devices already on the market). The actual Tile is about 1/3 the size of a credit card, with a sticky adhesive that allows you to place it on just about anything you want. Tile then pairs with a number of Apple products (iPhone 4S, iPhone 5, iPad Mini, iPad 3rd and 4th generation, and the 5th generation iPod Touch), from which you can hone in on whatever you’re looking for. As you get closer to your lost item, you’ll get a message on your device showing that you’re getting warmer. It also has a built-in speaker that chirps when you’re close enough to activate it. If you’re not close enough to ping what you’re looking for (or someone actually swiped your stuff), the app will crowdsource and use other people’s accounts to point you in the direction of what you’re looking for through a dropped pin on your map. While $19 per tile may seem a little steep, it’s a good investment—and lot cheaper than replacing a lost bike, tablet, or computer. The biggest drawback of the device may be its battery life: your Tile is going to die after a year of use, so you’ll have to replace it every 365 days.